Dentistry is constantly evolving for the better, and Dr. Tran makes it a priority to stay right at the forefront of modern care for the sake of his patients. At Covina Family Dental, patients will find state-of-the-art tools that elevate the quality of their experience, as well as specialty treatments that aren’t available at just any dental practice. Our team enjoys being able to not only meet your needs, but also exceed your expectations whenever possible. Contact us today here in Covina, CA to schedule a first visit. Your temporomandibular joint (TMJ) is a relatively small part of the body, but the responsibility it has is enormous – you wouldn’t be able to eat or speak properly without the movement it facilitates between your lower jaw and skull. 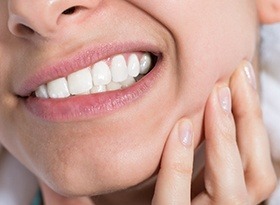 When this joint experiences strain or dysfunction, TMJ disorder is the likely result, the most common symptom of which is chronic facial pain. Please let Dr. Tran know right away if your current state fits this description; our practice offers dedicated therapy for treating TMJ disorder, including the use of custom-made oral appliances. 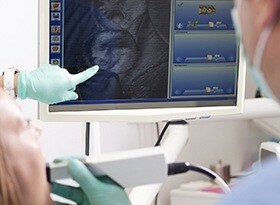 Intraoral cameras are an invaluable diagnostic tool that help make dentistry clearer and more interactive for patients. The process is simple – one of our assistants will navigate a camera-tipped wand through your mouth, capturing high-resolution images that are sent to a monitor in the treatment room. Dr. Tran will then use these images to discuss any problems he discovered, possible treatment options, and other valuable information. We enjoy helping you feel like a fully informed partner throughout your care instead of like you’re just along for the ride! 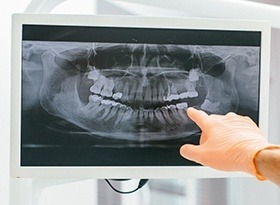 Our practice has invested in digital radiography for a variety of different reasons. Unlike traditional film, this modern technology doesn’t require darkrooms, hazardous chemicals, or hours and hours of waiting – instead, the X-rays are available in seconds for viewing. They can be stored and transferred virtually for maximum convenience, and the amount of radiation that patients are exposed to is drastically reduced, making them safer as well.